How much is Aliko Dangote Worth? 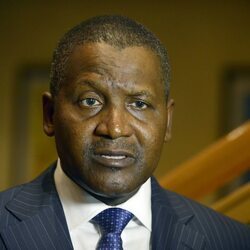 Aliko Dangote net worth: Aliko Dangote is a Nigerian businessman who has a net worth of $15.7 billion. Aliko Dangote is the richest person in Nigeria, the richest person in Africa and the richest black person on the planet, as of January 2014. Aliko Dangote earned his net worth by founding The Dangote Group which now controls much of Nigeria's commodities trade. He was born in Kano, Nigeria on April 10, 1957 into a wealthy Muslim family. Dangote's grandfather made a fortune in the 1900s exporting peanuts to Europe. As a child, Aliko showed signs of his innate entrepreneurial spirit when he launched a business buying candy in bulk to sell to his elementary school classmates for a hefty profit. Dangote attended Al-Azhar University in Egypt where he earned a degree in business. 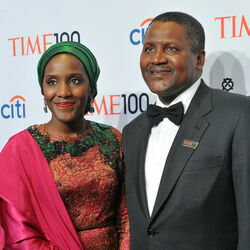 After graduating from college in the early 1970s, the 21 year old Dangote returned to Nigeria. Upon his return, a powerful uncle secured him a highly lucrative government contract to manufacture cement plus a $5000 loan to launch a small business. Having spent time in Brazil and witnessing that country's rise to an industrial superpower, Aliko was inspired to seek the same opportunities in Nigeria. 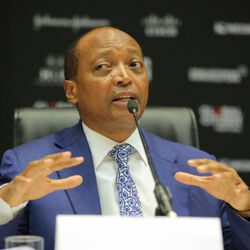 He launched The Dangote Group in 1977 and over the last 35 years, the company has grown at an extraordinarily fast pace. 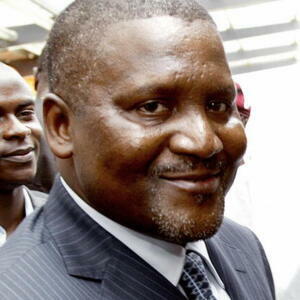 In 2013, The Dangote Group earned just under $21 billion in revenue. Over the next five years, Aliko Dangote plans to use his considerable resources to help revolutionize Nigeria's oil industry. Nigeria is the 13th largest oil producing country in the world, but because of poor infrastructure and theft, the majority of the country's own oil comes from overseas sources. Dangote plans to change this by building a state of the art multi-billion dollar refining industry around Nigeria's most valuable sources of oil. If successful, Aliko predicts that within five years he will be one of the wealthiest people on the planet, perhaps even #1. Even with his vast fortune, Dangote is still an extremely hard worker today. He rarely sleeps more than three or four hours per night and famously did not take any kind of vacation for 17 years straight. That vacation streak was broken recently when he traveled to Walt Disney World in Orlando with a gigantic group of family that included 18 children, grandchildren, nieces and nephews.